Rumah gadang (Minangkabau: “big house”) or rumah bagonjong (Minangkabau: “spired roof house”) are the traditional homes (Indonesian: “rumah adat”) of the Minangkabau. The architecture, construction, internal and external decoration, and the functions of the house reflect the culture and values of the Minangkabau. A rumah gadang serves as a residence, a hall for family meetings, and for ceremonial activities. In the matrilineal Minangkabau society, the rumah gadang is owned by the women of the family who live there; ownership is passed from mother to daughter. 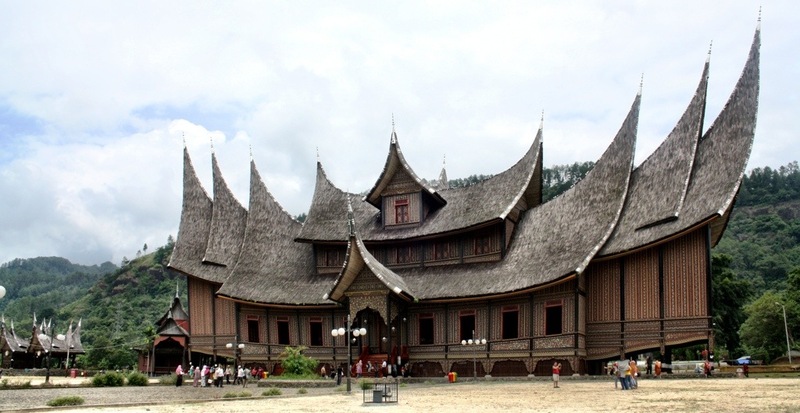 Pagaruyung was the seat of the Minangkabau kings of Western Sumatra. Tags: Photography, Travel, What to do. Bookmark the permalink.